Oh, avocado toast, how I love you. 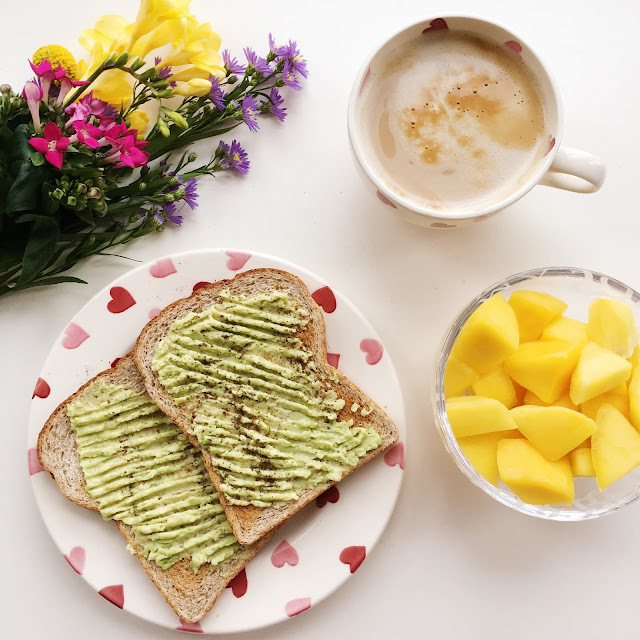 Avo toast is by far my favourite breakfast (even though it's apparently ruining my chances of becoming a homeowner, sigh), mainly because it's extremely easy to make and I'm incredibly lazy in the mornings. It's also delicious, especially when you top it with flavoured seeds (these are my fave!). 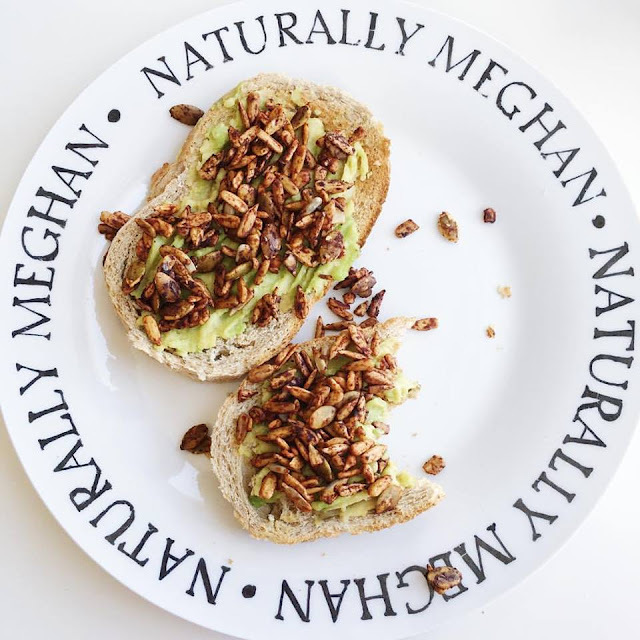 Just mash half or a whole ripe avocado (depending on how wild you're feeling), spread it on some toast and you're sorted. Most mornings before I head off to work I sit down with a bowl of Alpro Go On soy yoghurt (it's got a similar texture to Greek yoghurt and it's so yum! 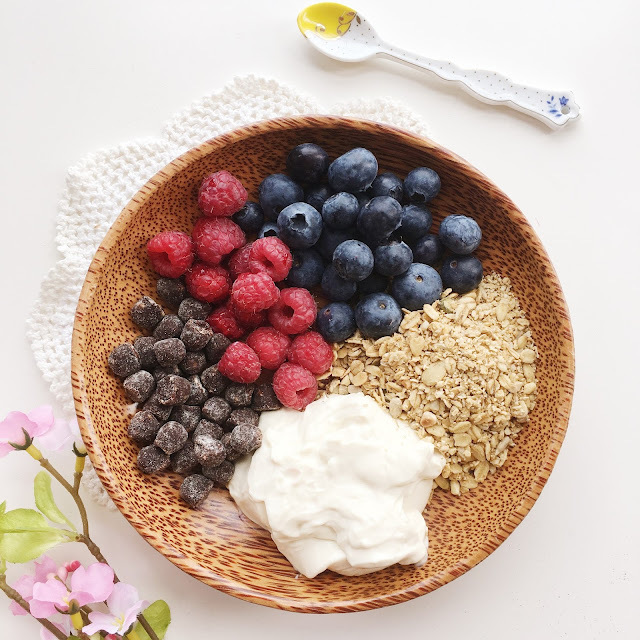 ), granola and berries, plus a couple of episodes of whatever show on Netflix I'm currently binging (at the moment it's Brooklyn Nine-Nine for like the third time, it's too good). Just throw everything in a bowl and you've got yourself a delicious breakfast and a great source of carbohydrates, healthy fats and protein. Oatmeal is a staple for colder months and is super cheap and easy to make; some killer flavours are chocolate, apple pie, sticky date and carrot cake. Oatmeal is high in fibre so will keep you full for hours, plus it's incredibly comforting to eat when it's chilly outside. If you have limited time in the morning then you can also make overnight oats the night before - they'll be ready for you to eat straight away when you wake up, with little to no fuss! 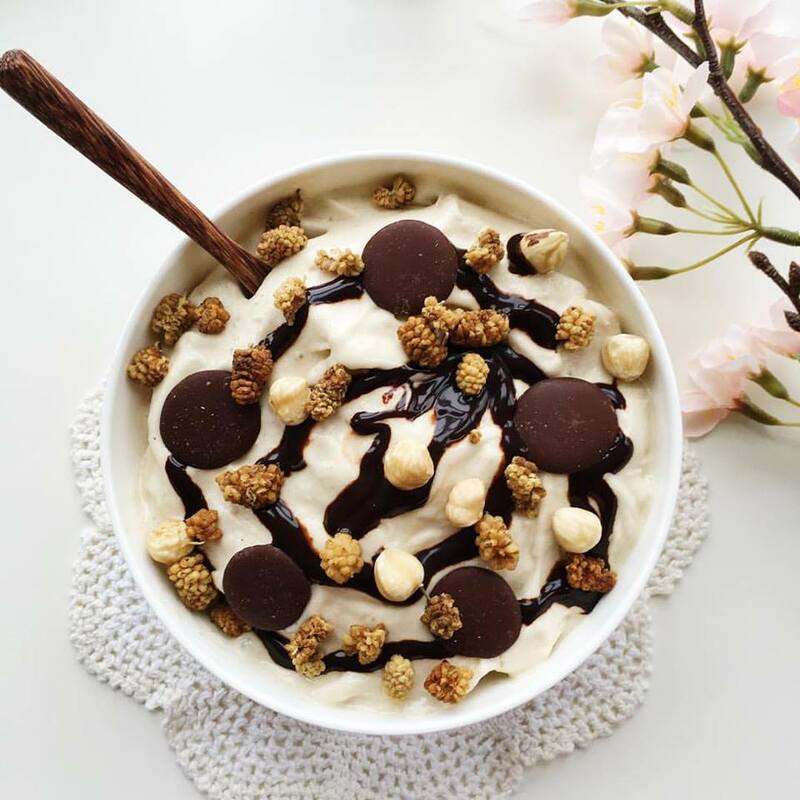 The best breakfast to eat in hot weather is either banana ice cream (chocolate is ridiculously good) or a good old smoothie bowl - it's reaching about 30°c here in the UK at the moment and I'm so up for eating huge bowls of banana ice cream for every meal! Whilst it doesn't taste exactly like real ice cream (dairy-free ice cream is my fave and nothing can ever top it) it's still a pretty good replacement, especially if you want to try and squeeze more fruit into your diet - you can also add flavoured protein powder and nut butter so you get a completely balanced meal, yay. I saved the best breakfast option until last - pancakes! Everyone loves pancakes, right? I've been making various vegan versions (unintentional alliteration, yo) almost every weekend for about 3 years now and it's one of my favourite Sunday morning rituals. Not only do they taste divine, they're also pretty easy to make and are sort of nutritious too, hooray! 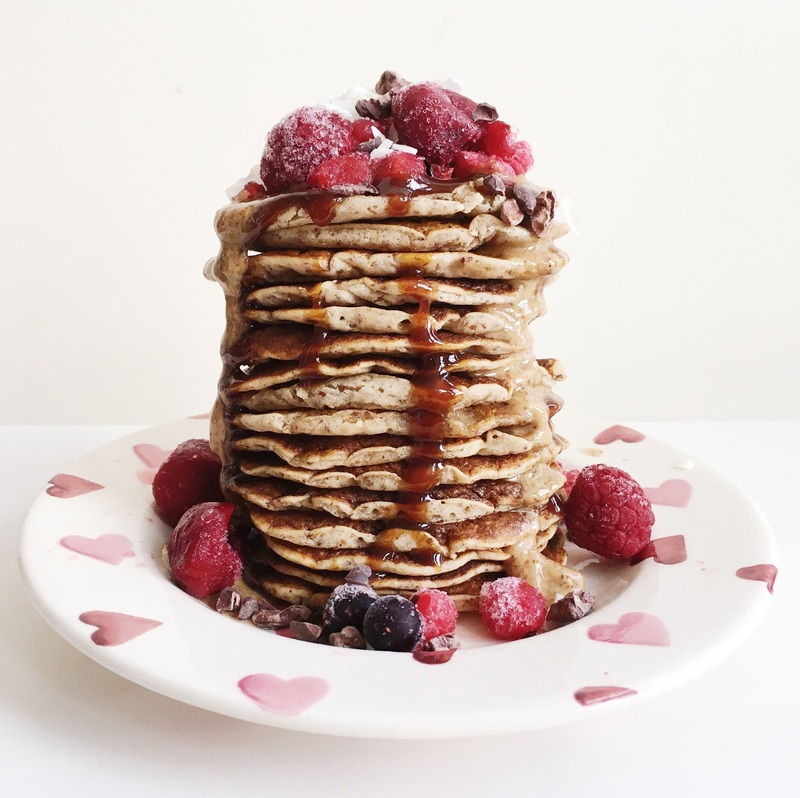 My fave combo is a stack of vanilla pancakes topped with maple syrup, raspberries and vanilla sugar. I'm drooling right now, not gonna lie. 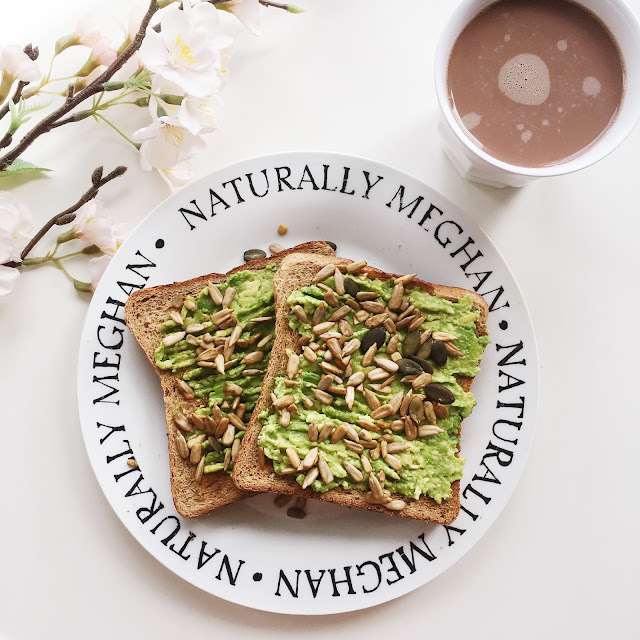 Thank you for reading, lovelies - I hope this has helped you get some ideas for delicious vegan breakfasts. Let me know what your favourite breakfast is in the comments!